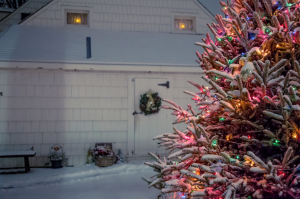 Friday, December 7th the Lott House will be hosting its Annual Tree Lighting Ceremony. Along with the lighting of the tree, the Historic Dutch-American farmhouse will be visited by Sinterklass. Children can sit with the Dutch version of Santa Claus to share their holiday wishes and pose for photos. The ceremony will be hosted from 6:30 to 8:00 pm and includes live music and free cookies and cocoa for all. The Hendrick I. Lott House is located at 1940 East 36th Street in Marine Park, Brooklyn.